Attic Conversions are one of the most ideal ways to convert your house into a home. Not only are attic conversions a terrific way to improve the value of your home, but they also offer other great incentives. Turn your unused and unwanted empty attic space into a luxurious new living space for you and your family. Our main focus is to make all aspects of this process as smooth as possible. 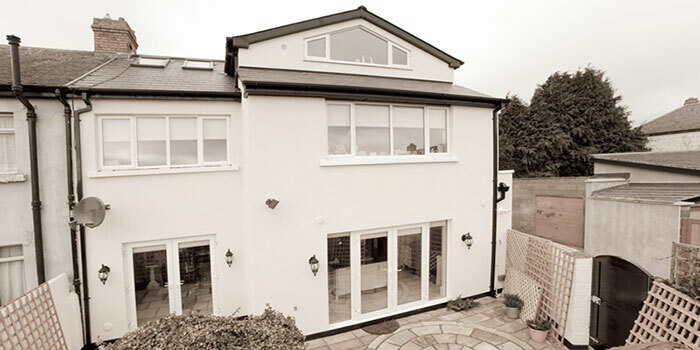 We aim to keep everything from consultation to a finished attic conversion in house to guarantee an easy transition from start to finish and ensure your satisfaction. Our architectural designer Christopher will meet with you to discuss all specifications of the attic conversion and answer any questions you may have. If planning permission required, Christopher will be able to give you the most professional advice including: architectural and structural design, planning and building regulation applications, site surveying, construction and project management. This will make all communication between parties as simple as possible. It is one of our main priorities that during the attic conversion you are disturbed an absolute minimum. Whenever possible and on request , we arrange our building hours around your schedule and bring all supplies to the attic via crane, as to limit any traffic through your actual home. However if going through your house becomes unavoidable, we take all necessary safety and protective precautions to your flooring, walls and furniture to ensure no damage is done.